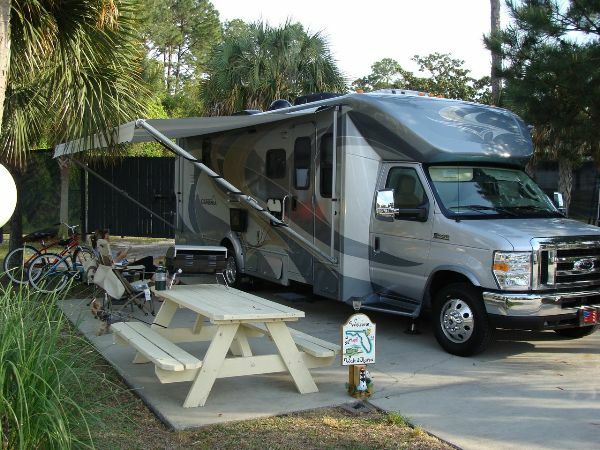 For sale; Low mileage 2010 Itasca Cambria in excellent condition. It has 15,421 miles and has been well taken care of with all maintenance records maintained. One of the things that attracted us to the Cambria 28B was the large amount of storage available on the inside and outside. Many of the drawers slide to their full length so that we have easy access to items even in the back. There are two slide-outs and this unit is loaded with extras, including big screen TV, sound system, XM radio and low profile satellite equipped. It has full-body paint, airbag springs in the rear, Ford V10 engine, hydraulic auto level jacks, and an Onan generator. In addition, it is equipped with a convection/microwave, ducted air conditioning with heat pump, furnace, Queen bed, and heated holding tanks. This motor home has every option listed on the original brochure. A detailed list of all features and more pictures are available upon request. Tallahassee, Florida area. $71,000.00.